← A bit of sunshine……. As the sailors amongst you will know, the wind will invariably be coming directly from the direction you want to go towards. Next week’s forecast is no exception. 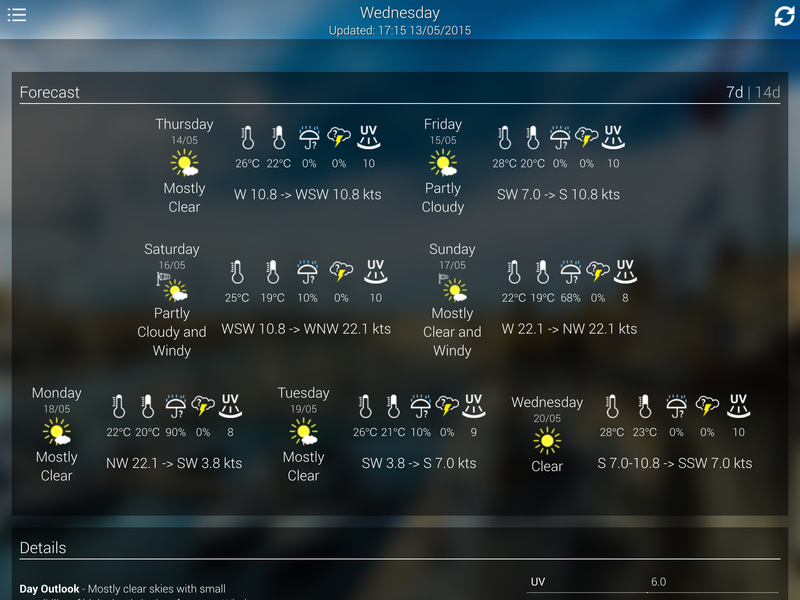 The wind is predicted to be a lovely WSW moving to WNW on Saturday but a NW on Sunday. Perfect wind strength of 20+ knots so we could have had a fast journey over to southern Sicily. However, it looks like we will need to go more NE than we wanted to get across or wait until later on Sunday once the wind has backed towards the SW. The other option is to stay around Malta and find a snug cove on the south side of the island. Decisions, decisions….